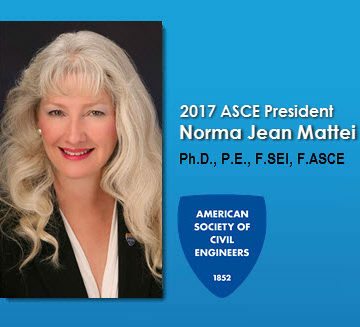 Norma Jean Mattei, Ph.D., P.E., F.SEI, F.ASCE, has been busy the past couple of weeks preparing to be ASCE’s new president, but thrilled about what the future holds. 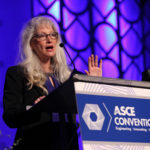 “The future that I see is one where civil engineers are the go-to people when it comes to enhanced infrastructure for a growing economy, wise use of our natural resources, well thought out mitigation and recovery from disasters, and public policy that makes sense,” she wrote in her vision statement for ASCE. Mattei is professor and past chair at University of New Orleans’ Department of Civil and Environmental Engineering. 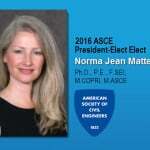 She has been active in ASCE for more than 20 years in local, regional, and national leadership roles. 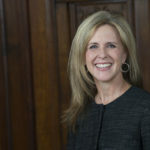 In 2012, President Obama named her as one of three civilian members of the Mississippi River Commission, which researches and provides policy and work recommendations covering flood control, navigation, and environmental projects. But who is Norma Jean Mattei when she steps off the speaker’s podium? 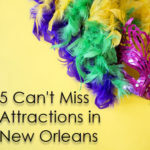 Watch this new ASCE video and get to know the life of this “Nola” native. As a life member of ASCE my heartiest congratulations to you. You are a shining star of ASCE, one of the world’s largest engineering society, and I know we are in good hands. May God bless you. Go get ’em madam President. My hearty felicitation, even as you assume the leadership of our great association. I wish you the best! Wish you a successful tenure at ASCE. CONGRATULATIONS, AND WISHING YOU A SUCCESSFUL TENURE. Congratulations!! We are proud of you.